Ani is the name of a ghost city. 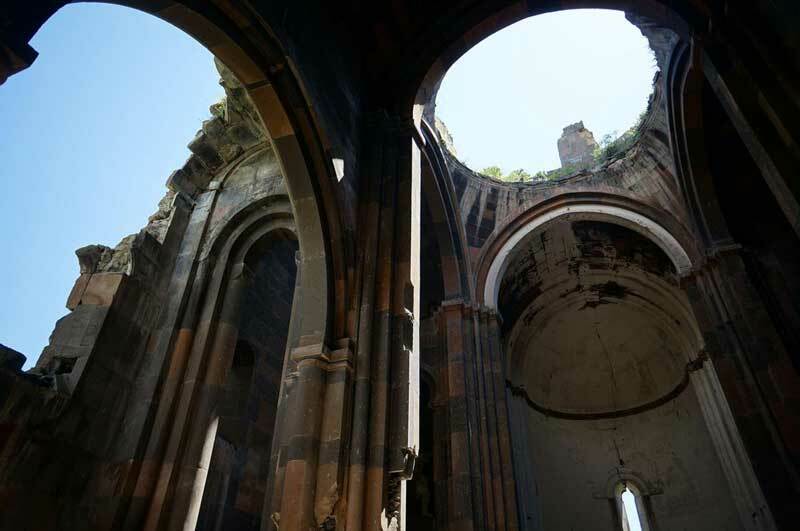 Ani is a ghost city of 1001 churches. Ani is the City of Forty Gates. 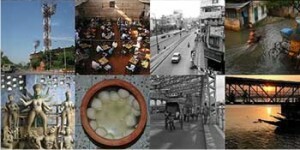 Unfortunately, no one has called it home for more than three centuries. 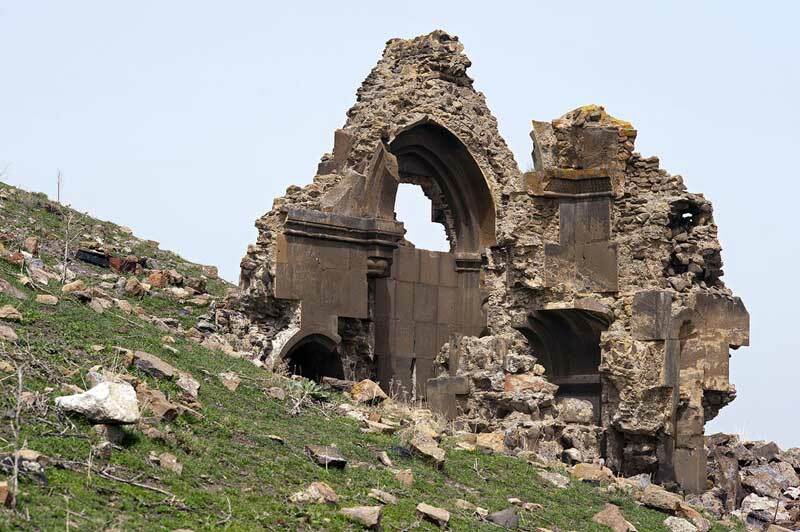 Ani is, in fact, a ruined and uninhabited medieval Armenian city. 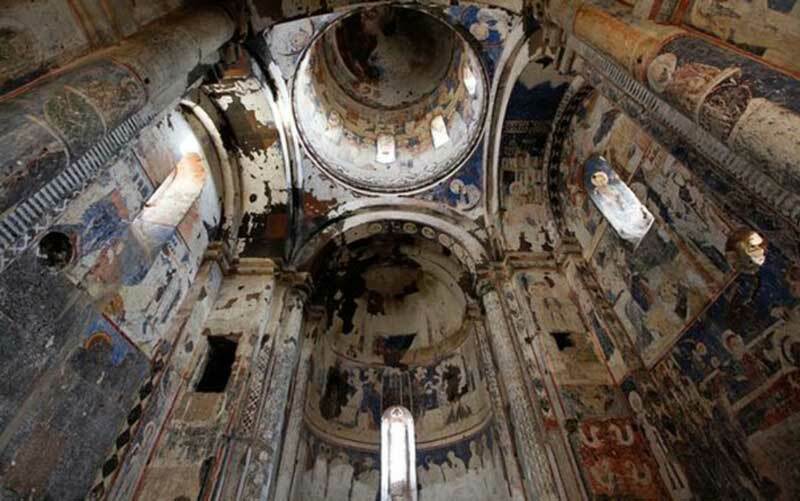 The site is situated on a remote plateau, about 45 km away from the Turkish border city of Kars. At its height, Ani had a population of 100,000–200,000 people and was the rival of Constantinople, Baghdad and Cairo. 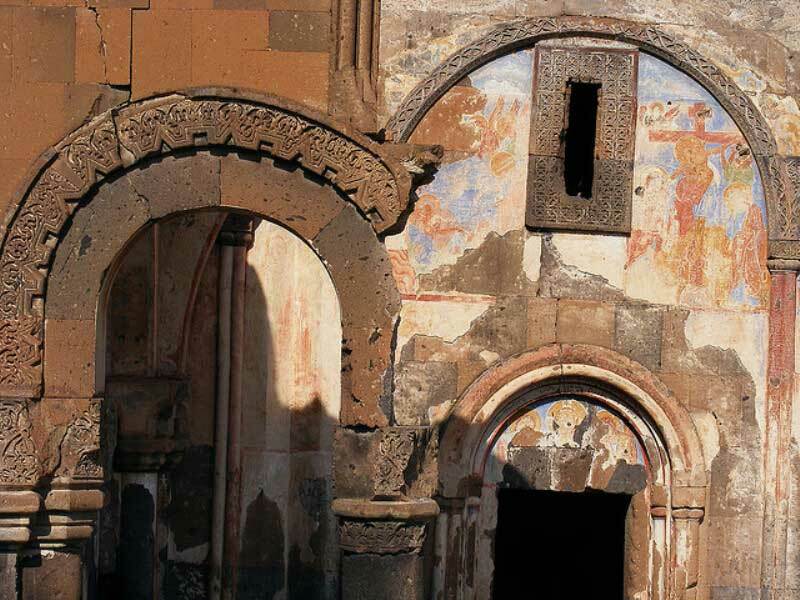 Renowned for its splendour and magnificence, Ani was once known as ‘the city of 40 gates’ and ‘the city of 1001 churches’. Unfortunately, the city is the victim of a continuous struggle for power between various factions in the region. 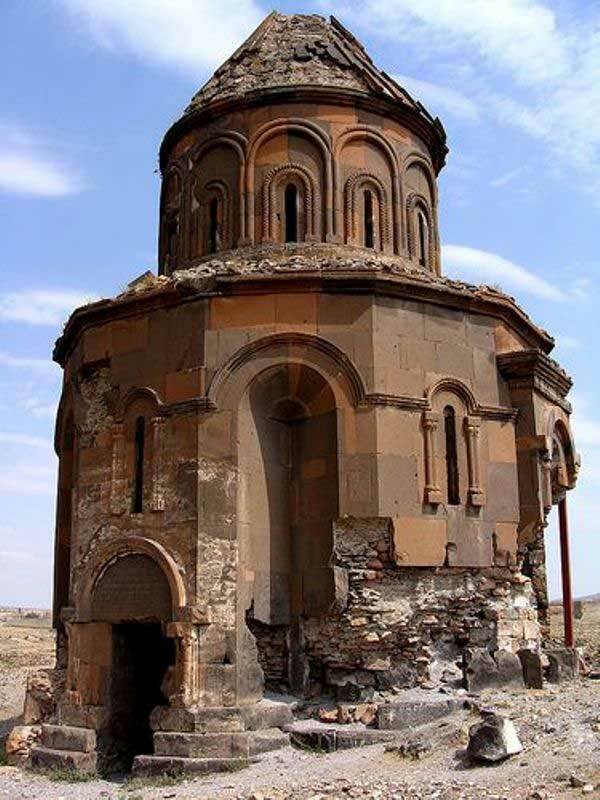 Founded in the fourth or fifth century AD, the following millennium saw Armenians, Byzantines, Kurds, Georgians, Mongols, Turks and the Russians struggle for and ascend to power in the city-state of Ani. It was conquered hundreds of times and almost each time a faction rose to power, the people were massacred, the women were raped, the city was ransacked and then razed almost to the point of obliteration. 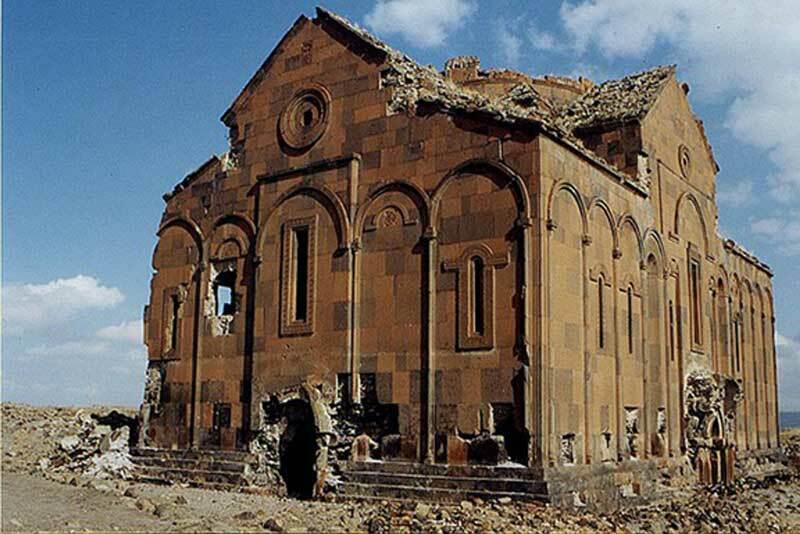 By the 1300s, Ani was in steep decline, and it was completely abandoned by the 1700s. 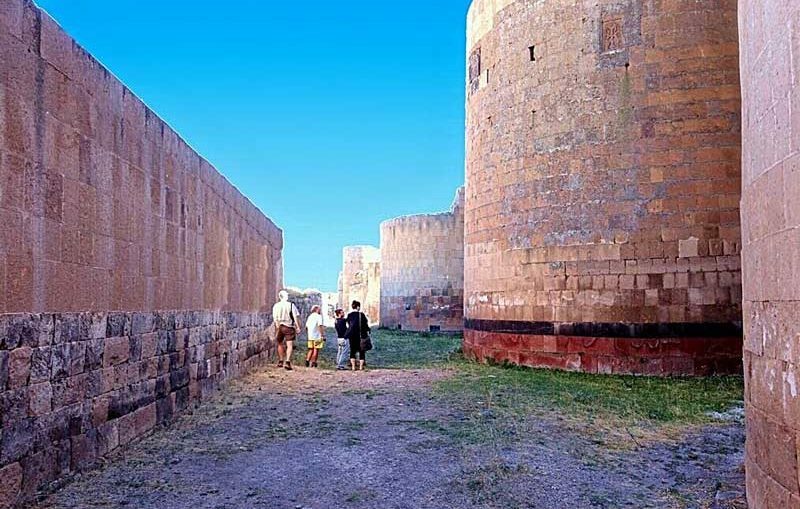 The entire ancient city of Ani was encircled by a line of compact walls, stubbed by numerous large and closely-spaced semicircular towers. The city was protected by a double line of walls in the northern side, the only part of the site, which was not protected by rivers or ravines. The northern walls were equipped with three gateways, known as the Lion Gate, the Kars Gate, and the Dvin Gate. The structures at Ani were constructed with local volcanic basalt, which can be carved easily and comes in a variety of vibrant colors, from creamy yellow, rose-red, to jet black. 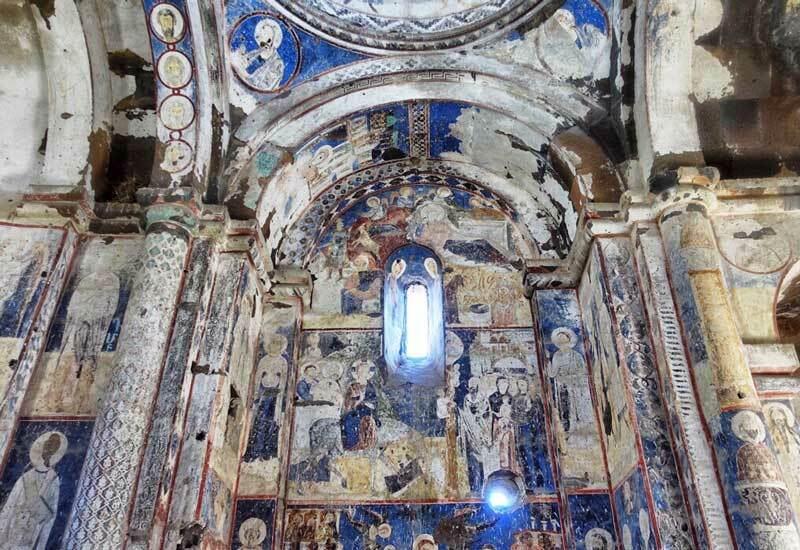 The surviving monuments include, among others, The Cathedral, The church of St Gregory of Tigran Honents, The Church of the Holy Redeemer, The church of St Gregory of the Abughamrents, King Gagik’s Gagik’s church of St Gregory, The mosque of Manuchihr and the Citadel. The Cathedral is also known as the Church of the Holy Mother of God. Designed by Trdat, the famous architect of medieval Armenia, its construction started in 989, and was completed in 1001 or 1010. Originally it was a domed basilica, but the dome collapsed in 1319. 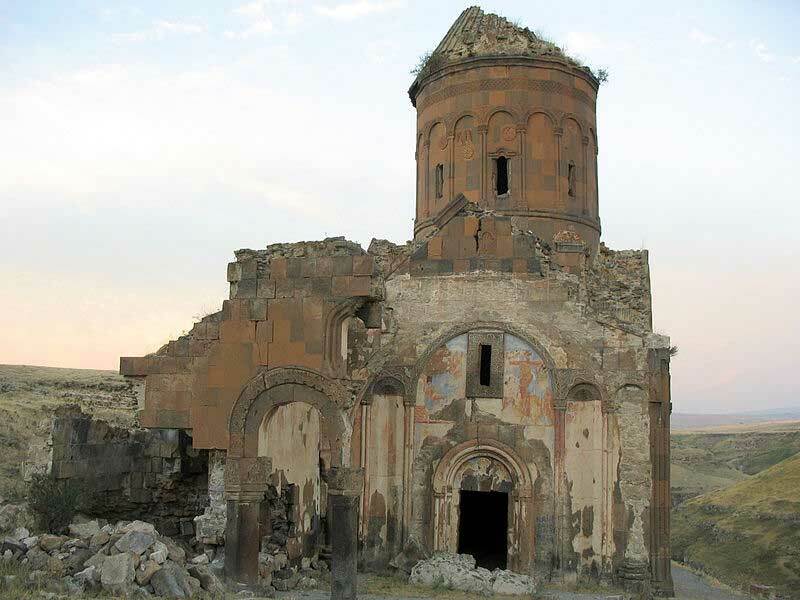 The church of St Gregory of Tigran Honents, completed in 1215, was commissioned by the wealthy Armenian merchant Tigran Honents. It is, actually a domed hall, with its exterior walls beautifully decorated. The interior of the church was adorned with splendid frescoes depicting the life of Saint Gregory the illuminator and the life of Christ. 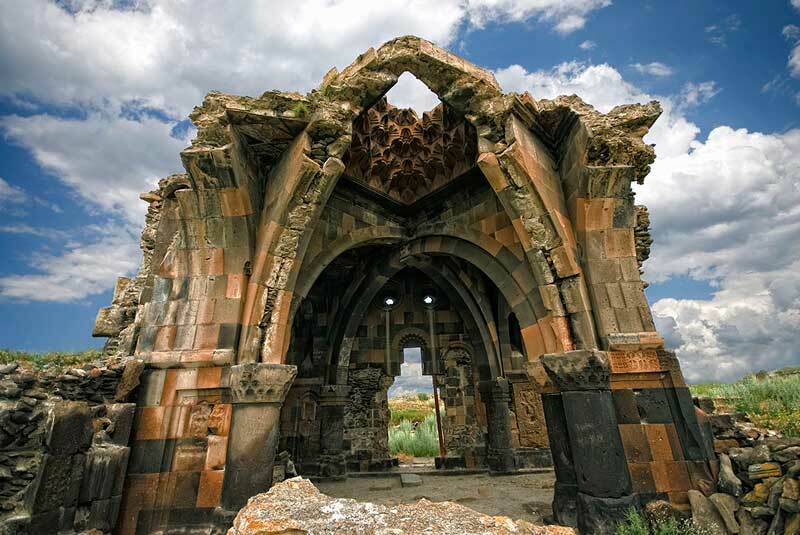 Situated at the heart of the archaeological zone of Ani, the Church of the Holy Redeemer was completed in 1035 by Prince Abulgharib Pahlavuni in order to house a fragment of the true cross. The architecture of the church is geometrically unique and well executed. Unfortunately, in 1930 lightning hit the church, splitting it in half, with one side collapsing and the other left. Probably dates from the late 10th century, the church of St Gregory of the Abughamrents is a rotunda-shaped church, topped by a conical roof. The outside of the structure is twelve sided and each side alternates between having deep niches and small windows. 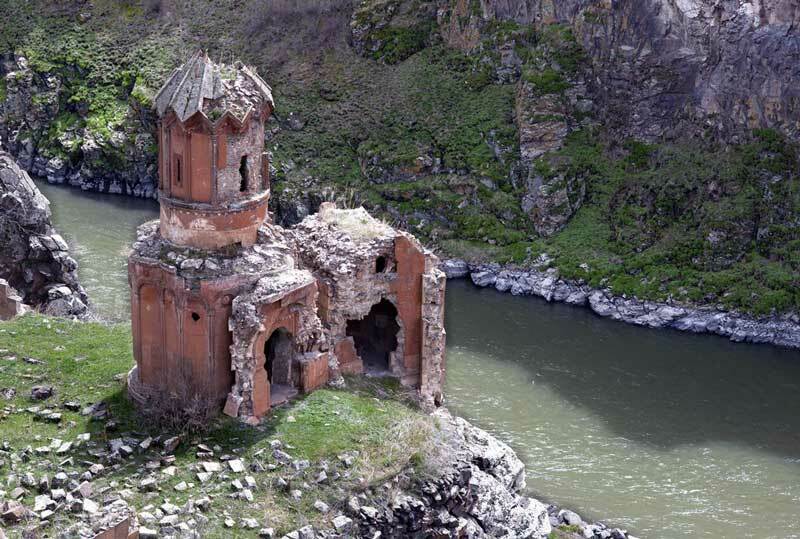 It was built as a private chapel for the wealthy Pahlavuni family. 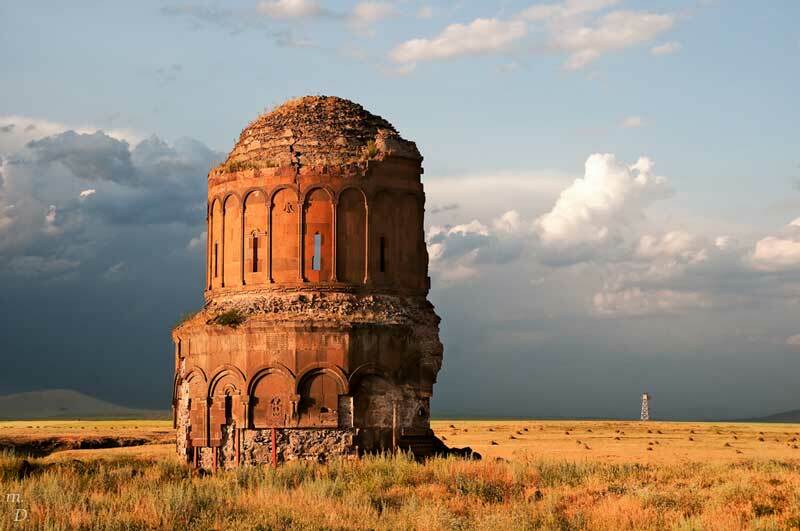 Constructed by King Gagik, the church of St Gregory was probably erected between 1001 and 1005. It was intended to be a copy of the cathedral of Zvartnots in modern day Armenia. 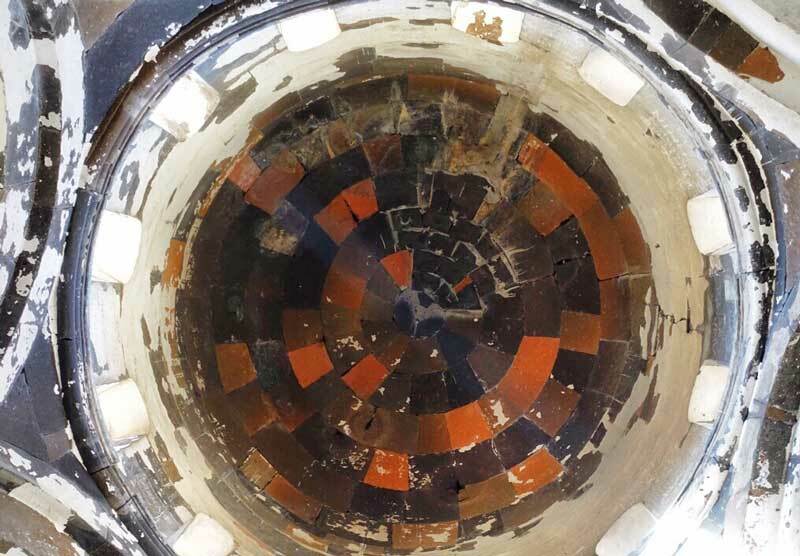 It is said that the structure was never very stable. Attempts to strengthen the church failed and it collapsed not long after. The ruins were excavated in 1906 and apart from the plan of the church, many objects of worship, including a bronze candlestick and a chandelier were recovered from the excavated spot. The mosque of Manuchihr is said to have been founded by the emir Minuchihr, the first of the Shaddadid dynasty that ruled Ani from around the year 1072 onwards. 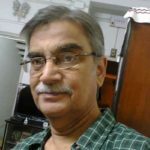 Scholars opined that the minaret of the mosque predates the present structure and that is the oldest surviving part of the mosque. In 1906 the mosque was partially repaired in order to house a public museum containing objects found in the site during the excavation. However, human greed knows no bound and this little museum was also looted at the end of the First World War. 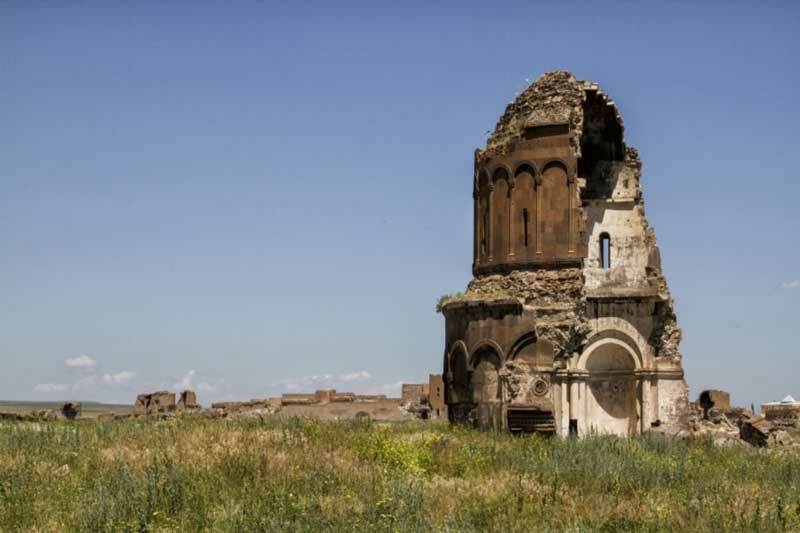 The archaeological site of Ani was declared as a UNESCO World Heritage Site on July 15, 2016.